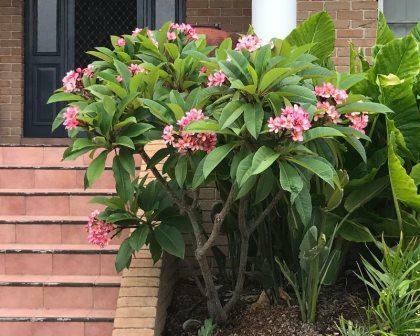 Common White Frangipani can grow as either a small shrub or tree ranging in height from 8 m with widely spaced thick succulent branches. 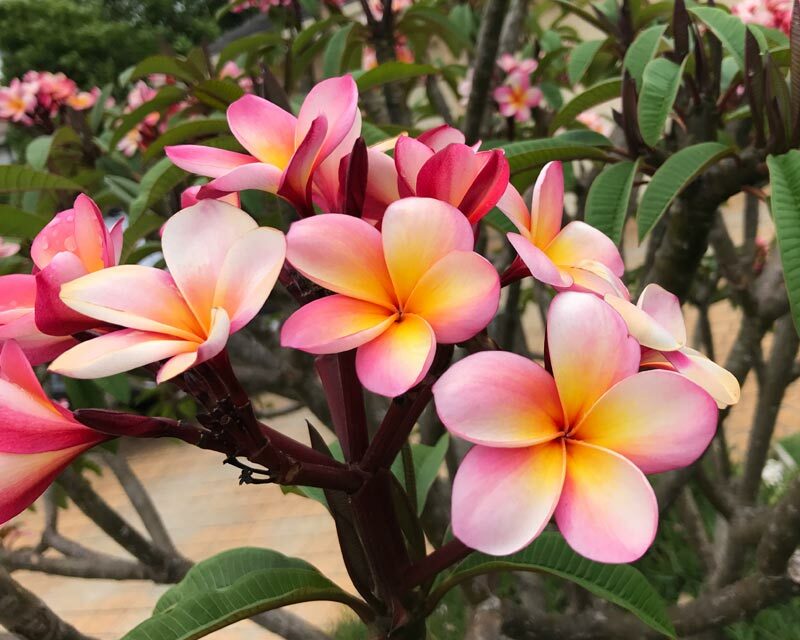 Common White Frangipani has very fragrant white flowers with yellow centers. Native to Central America and the Caribbean, it is now common and naturalized in southern and southeastern Asia. Soil : It prefers a fertile, well-drained soil in a sunny position. Established plants are very salt tolerant. Pods are then dried in the sun and broken to extract the seeds and stored in gunny bags. Seeds can be sown in semi-shade, either in nursery beds or in individual containers. When fresh seed is used, a germination rate in excess of 80% usually occurs within 8 - 15 days. The seedlings are generally planted in pits having the size of 30x30x30 cm. The most common spacing adopted for plantation is 5m x 5m. On road sides, deeper pits of the size of 45 x 45 x 45 cm are preferred. 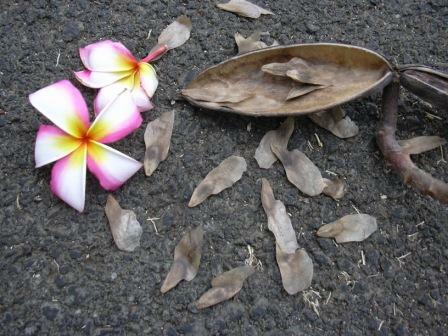 The flowers, Root, Seed and Latex are used as a medicine. Flowers are strongly fragrant. It is used in Pooja. The light brown wood is hard, heavy, and tough. 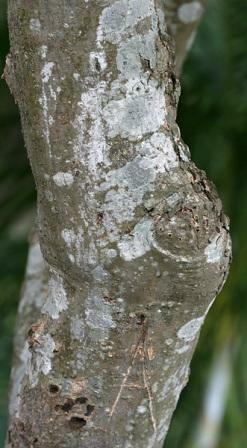 It is used in carpentry where the tree grows to sufficient size.